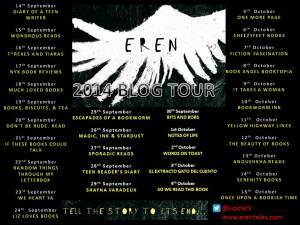 The Eren book tour is here! I’m hosting both an interview and a review today to celebrate the almost-publication of the book (it releases tomorrow!). To find the other blogs participating in the tour, either go here or click on the tour banner below. To find out more about the book, you can check it out on Goodreads. 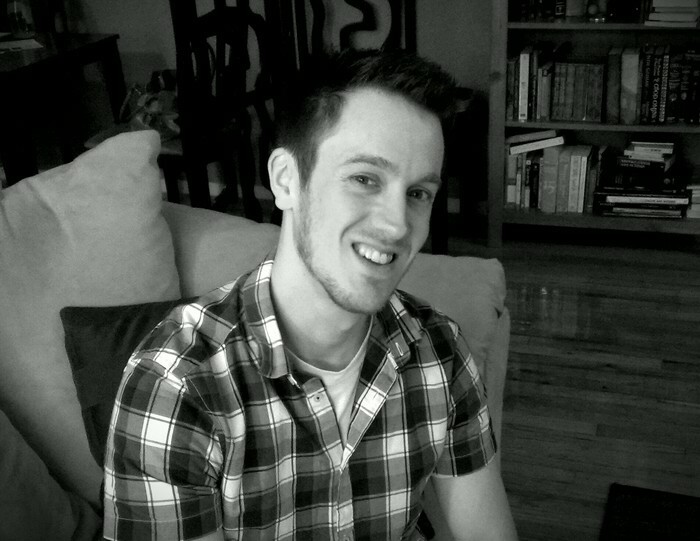 Nyx Book Reviews: Hi Simon, welcome to Nyx Book Reviews! Could you tell us a bit about yourself? Simon: Thank you for having me – this is my first ever blog tour and I still can’t believe people are actually reading Eren. About me: British by birth, now living in New Jersey, USA. My wife’s from here (though we met while both working in Japan). 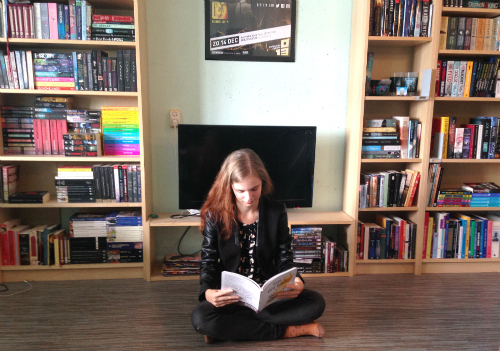 Interests: Books (obviously), music (drums and piano, mostly. I like instruments I can hit), and baked goods (the way to my heart is through an oven). Currently work as a writer. Could you describe Eren in one sentence? Eren wants Oli to tell him stories – and Oli doesn’t realise how dangerous that might be. 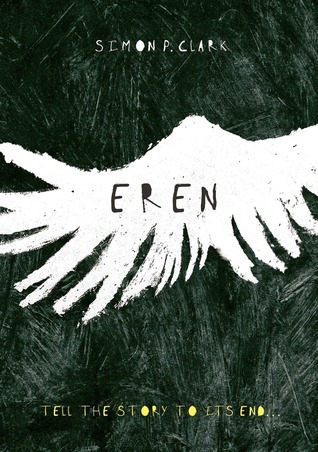 In many ways Eren is a book about stories. Was this your intention all along, or was it something that the book evolved in gradually? It started as a story about the gradual taking over of one life by another. In the very first draft, Oli was a girl, and the whole book was set in the 1800s. It was written as a diary, the entries getting slowly darker as the girl lost control of her own writing. A few years later, as I returned to Eren, the ideas about stories got more and more interesting (to me, at least), so that became more of a focus. Although Eren is a children’s book, it’s also interesting as an adult. Who was your intended readership when writing? Eren was always meant to be a book for children first of all, though the recent discussion online and in the papers about adults reading YA has been interesting to watch. I hope readers of all age enjoy the book. I do think, though, that children will have a very different impression. I’ve had several adult readers question the ending, and some of the creepier parts. Kids, as a whole, haven’t worried so much. Physical books, ebooks, or audiobooks? Physical books for me, but no judgement on ebooks. As for audiobooks – love them. When my wife and I take long car journeys we always rent audiobooks from the library. Patrick Ness’ A Monster Calls, Jonathan Stroud’s Bartimaeus books, and Diana Wynne Jones’ Howl’s Moving Castle are all fantastic audiobooks. What was the hardest thing about writing Eren? Good question – but I don’t know if I can pinpoint one thing being harder than the others. Perhaps finding a balance between backstory and action. Takeru and Em and Oli’s dad all have lives beyond the things we see, but I never wanted that to be a focus. On the other hand, my editor was eager that they be more than just supporting characters. It’s always amazing seeing how other authors blend things together, never being heavy handed but never sparing too many details. Writing’s definitely a balancing act – one I hope I’ve managed to get right. You’re welcome, and thanks again for having me!